The Web is your friend. What to prepare prior to leaving. Delete your cookies and history from your browser. When searching for fares, it may help to regularly delete your Internet cookies and search history if you repeatedly search for the same itinerary. Cookies remember what you’ve searched in the past. So if you’re looking again and again for the same flights on the same website, the site becomes aware of your search habits…and increases the prices. To delete your cookies, look under “content settings” or “browsing data” in your browser’s privacy settings. Look around. No single flight search engine includes every possible airline. Think flexibly about airports and dates. If you are flying into a city with several airports, select either “all airports” or simply the city name (“LON” for London) rather than a specific airport name (“LHR” for London Heathrow). If offered, select “include nearby airports” — doing so will return more flight options (for example, Pisa for Florence or Bratislava for Vienna). It’s wise to start looking for international flights at least four months before your trip, especially for travel in spring, summer, or fall. Pick a seat as early as possible. Foreign carriers may have lower prices and more perks. Babies will be in the bulkhead seats. Most airline bassinets only fit in those extra-legroom seats at the bulkheads. Avoiding that general area gives you at least a fighting chance of not flying near screaming tots. Turn to the experts to get the best seats. Want to know about a flight, what seats to pick, the airline. Go to https://www.seatguru.com/ they have the details. New sites are popping up all the time. For example https://www.farecompare.com/ is one of the few independent sites today. Google tracks you so be sure to delete the browser history regularly or you will probably be looking at higher fares as you search the same sites. Be sure to also delete them from Google accounts such as Gmail and other tools you may be using from Google. Google has acquired the core fair setting and posting site for all airlines so they really know what you are doing here. Try using different browsers. Don’t log into your Gmail account when doing searches. Use your phone. The idea is to mix it up enough so the Web hosting, airline and other players in-between are not “in for the fix”. The last thing you need when you are heading off on a trip to Europe is to hit delays and to fly at the wrong time so you body takes longer to adjust than it otherwise could. Experts say fly mid-week. By flying midweek you miss a large contingent of people who are clogging up the airports with local or other flights related to business and school or work schedules. By leaving on a Tuesday (optimal) you may cut your in-transit time by as much as 30%. Picking the right hour to fly is another important secret. Jetlag is going to make you a zombie. Even if you manage to get some sleep on your flight, it is best not to plan too many activities on your first day on the ground in Europe. A better plan is to take it easy on day one and hit the ground running on day two. It may seem odd to do this but the logic is this. Fly all night and wake up in Europe refreshed. Get a jump on giving your body a way to adjust to what otherwise is the middle of the night. Even though it’s hard to avoid taking a red eye, you can maximize your sleeping time by choosing the best departure for your sleeping schedule. Airlines offer a wide variety of red eye flights between New York and Paris, Air France flights depart as early as 5 p.m. and as late as 11 p.m., giving passengers the option to arrive between 6 a.m. and noon. You can expect to be able to go to sleep one to two hours into the flight, since beverage and dinner service happen in the first hour to hour and a half of every transatlantic flights. If you typically head to bed at 10 p.m., an 8 p.m. flight will maximize your in-flight sleeping time, by letting you go to bed at your normal hour and sleep. And when you wake, it is morning and you have had a full sleep. It is not recommended to drink, watch the movie or do anything but eat the meal provided and get a blanket (while you are boarding – they become scarce fast) and curl up in your seat. Sitting next to the window allows you to spoon with your window and you won’t get jostled by passers by, airline attendants or seat-mates trying to squeeze by to go to the potty. When you land in Europe, you will face several sleep-related issues: you woke up at an hour that is essentially the middle of the night for your body and you didn’t sleep for long enough or deeply enough. You can preempt some of these problems by choosing the most optimal departure time and seat assignment, focusing on sleeping during the flight and refueling properly in the morning. So a 7:30 PM flight from NY City lands in Geneva, Switzerland (GVA) at 9:15 Am. It’s about 1 1/2 hours drive from Geneva to Chamonix so you can expect to be checked in and ready for a light (remember you need to warm up) hike up and around the trails of Chamonix for 2-3 hours and back for a nice dinner. Then the next day you will be warmed up for a full day of hiking and would have had enough time to adjust to the altitude and the time change. Maybe it is a day to take a cable car and do just a little walking and get your legs under you. 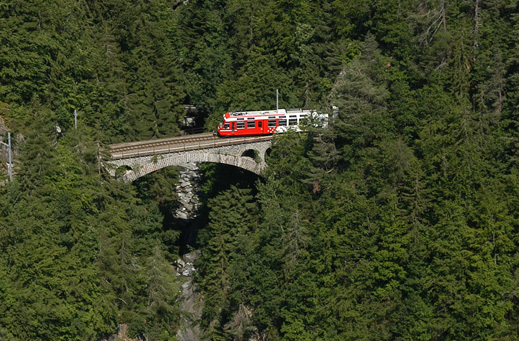 “From Chamonix, you can take the gondola lift to Plan Praz at 2000m, then the cable car to Le Brévent at 2,525m. 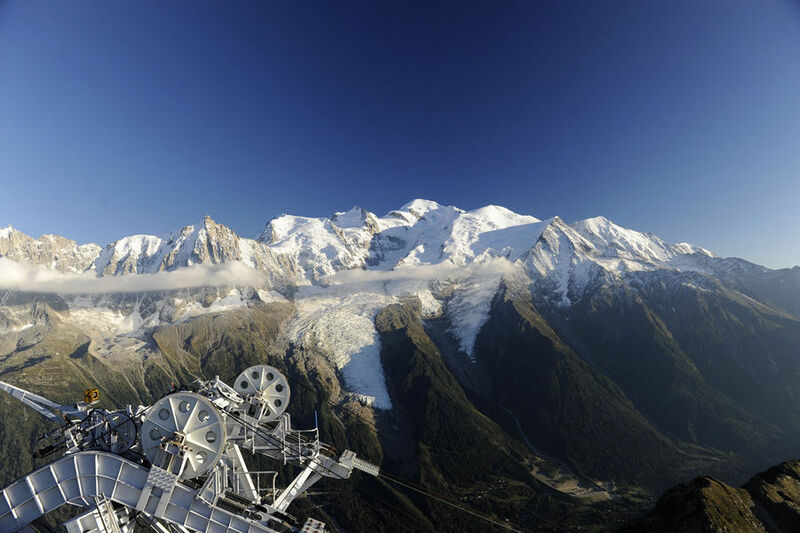 Discover the south slope and its great panoramic view of Mont Blanc.” (https://www.chamonix.com/planpraz-brevent,82,en.html ). If you are traveling in a duo, reserve the window and aisle seat in a row in the back half of the plane when you book. The middle will often remain empty. During check-in, ask the gate agent how full the flight is, and if she can move you to an empty row in the back. There are often full empty middle rows at the back of the plane up for grabs. Skip In-Flight Movies. You need to go to sleep earlier than you are accustomed to on a transatlantic flight, and it is tempting to stay up most of the flight catching up on the latest movies. If you choose to start a movie early in the flight, choose something short or a movie you have already seen, so it will be easy to turn off once dinner is over and it is time to sleep. Eating Breakfast on a Plane. A hearty breakfast with protein and vitamins can help off-set the effects of jet lag. Pack some fresh fruit and a protein bar in your carry-on bag to supplement the meager roll and orange juice breakfast provided by most airlines. Before you leave try to go to bed early and waking up very early. Say, the week before you leave start by not drinking alcohol or stimulants like coffee late in the day. Go to bed at 8:00pm and get up at 5:00am. If you do that before you leave you will find that a change of a few hours will be easier on you than if you didn’t do this. Eat red meat. Ok, vegetarians I have no comment for you. Red meat increases your blood flow and increases the oxygen to your brain and body making any transitions easier on you. Luggage size and weight limits are not created equal. While U.S. carriers may have relatively standard sizing for both checked and carry on bags, foreign carriers do not. It behooves you to check those critical sizes before you book the ticket. Buying new carry on bags or paying for oversized checked bags can be budget busting. Budget carry-on space for comfort gear. Things you may need include: neck pillow, head phones, warm socks, eye mask, and a water bottle (take empty and fill with water you purchase in Airport shop prior to boarding). And almost any blanket is better than an airline blanket. Double check the name on your tickets. Misspellings or incorrect dates of birth can be serious security hang ups. Avoid tremendous hassles by making sure that your ticket and passport match exactly. Take a car to your hotel. Yes you can book trains but they run on time and your flight may not. Getting through Customs and the vagaries of air flight on-time arrival can leave hours of time between when you thought you would be walking out of the airport baggage exit doors and when you actually can. Booking a car is not that expensive either an Uber type service (https://www.uber.com/cities/geneva/ or https://ride.guru/cities/geneva-geneve-switzerland Uber is about $250 on peak and less off peak) or rent a car. We also have drivers to pick you up and bring you to your door when you are ready. They can also move your wheeled suitcases between hotels along your trip so you don’t have to wear one suit of clothing for a week. Use the link below to enquire about transfers and transportation options for the hike you are planning. If you are over 40, see a doctor. Make sure they give you a clean bill of health. It may be a small thing but really take some time to make sure your body and your brain are ready for high altitude exercise and that you don’t have any issues that could otherwises be addressed and cleared up prior to your trip. Getting medical care in remote villages is not what it is in the US and getting Medivaced out of a remote town can be expensive. Check that your medical insurance will cover you in a European hospital. Buy additional insurance before you leave to cover you. Are you practicing walking with hiking poles and the boots you want to bring on your trip? Take that pack and load it up with the daily load you are planning to carry and walk 3-5 miles at least twice a week. How do you feel? You should be doing this for several months before you leave. Find ways to take a day each month and go to your nearby hills or mountains and walk up and down them. Take the time to get prepared so you won’t find your vacation an exhaustive workout but instead one you can truly enjoy and remember for a lifetime. Passport control lines may be very long. Consider the new Nexus Pass. Another is to use an app . the Mobile Passport smartphone app (https://mobilepassport.us/) is the easiest way to cut the lines when you land back in the U.S. It’s easy to use, but you’ll need to install it and take a photo when you have good Internet service, so do it as soon as you book the tickets and you’ll be set to go. It may not be worth it given you have to get in interview (scheduled at the airport) and pay additional fees. While you don’t need a VISA to get into most European countries you will need an up to date Passport. Have a valid drivers’s license. Check with your auto insurance company to see if you need additional coverage to rent a car in Europe or if you are already covered. What about your health insurance? 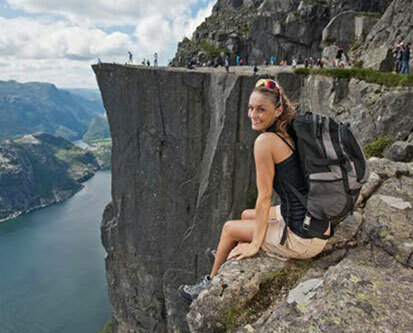 Get Trip Insurance (often offered by your credit card companies – especially by American Express). Photo copy all of your legal documents and keep them locally on your phone as well as store in the cloud with Google Drive, Dropbox or iCloud services. Be sure to include photos of your tickets and any written confirmations for hotels or other travel events. Add all of your contacts in Europe, the hotel, the address the website and phone number to your contacts on your phone. Create an Itinerary document that you post online including the days and dates of stays at hotels. The transfers; trains, planes and so forth and email it to your important family or friend members so they know where you are and how to contact you. You will probably have to buy a new SIM card for a local phone carrier in the country you are traveling too but Verizon, T-Mobile and ATT do have international plans for data and calling that may be worth upping your phone bill for the time that you are traveling. Usually you dial 611 on your phone to talk to an agent of your current carrier. Be sure to ask if it also allows you to send text messages? What’s App. Internationally this Facebook company is used by over 2 billion people for free WiFi calling. Most of your hotels, airports and trains will offer WiFi so this app allows you to make free calls. But your friends and family you are planning on talking to have to have the app too. Money. Prior to your trip, order foreign currency at your bank or visit an ATM at the airport upon arrival. Airport ATMs don’t always have the best exchange rate, but it’s better than finding yourself stuck without any cash or searching for an ATM while you’re jetlagged. European credit cards work on a chip-and-PIN system, which is not widely used in the United States. This may be an issue in some countries at transit kiosks without human attendants to process transactions, so keep cash on hand for traveling via train or bus. Notify your bank and credit card company before traveling so you don’t find your accounts frozen. Most car-rental agreements include liability insurance, but purchase the additional collision-damage-waiver insurance in advance through either the car-rental company or as part of a third-party insurance policy. Insurance that covers theft is usually a separate policy. Check with your credit card issuer before purchasing CDW insurance: Some include this insurance when you use the card for payment. Read the fine print before purchasing any policy. Travel Adapter: You don’t want to be stuck without a way to charge your electronics once you get to your hotel. Search Amazon for a variety of all-in-one travel adapter which lets you simultaneously charge multiple devices and can be used in the USA, Europe, United Kingdom and other countries. There are two things that will change your life. Most hikers know how to pace themselves. For a 7 or 9 day journey you will need to remember that every day you get up you are going to walk 4-12 miles depending on the hike you have chosen. What is important to know is that should you decide to skip a day. Fine. No worries. You can get a car with a driver or grab a tram to take you to the next town and stay where you planned and enjoy the day off. No harm no foul. This is after all your vacation. Here is a form of the current hikes we offer. ← GREAT LIFE EXPERIENCES ARE MADE UP OF MAGICAL MOMENTS.